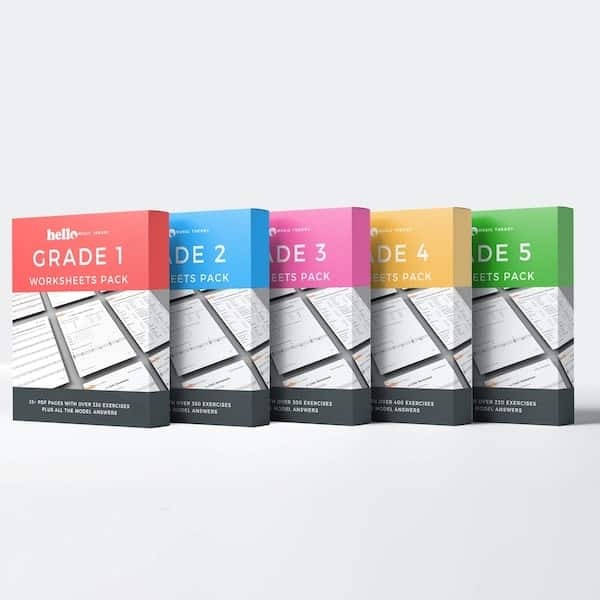 Brought to you by graduates of the Royal Academy of Music, Hello Music Theory provides digital teaching and study materials to help you or your child study for and pass an ABRSM music theory exam. We’re completely obsessed with music theory and our goal is that no one will fail their theory exam. We’re publishing new music theory lessons every week. Check out some of our latest ones below. Currently we have three different resources that you can download from our website. Find out more about them below. Want to pass your music theory exam? Then you need to sit some music theory practice papers before the big day. 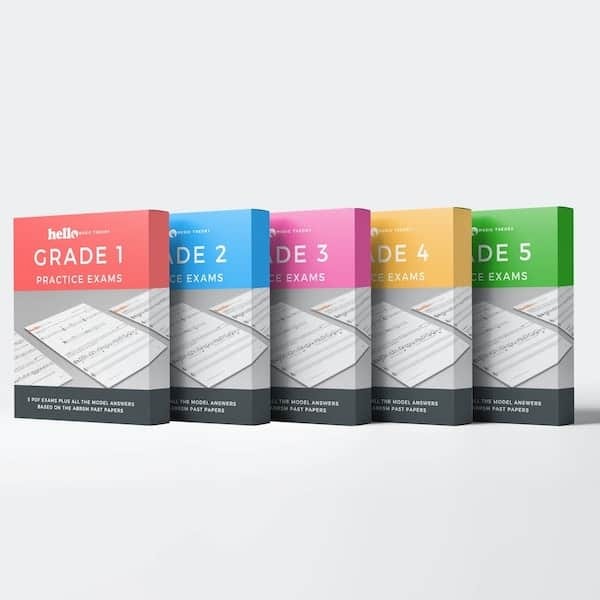 We’ve put together 25 pdf practice exams based on the last 6 years of ABRSM past papers to help you prepare and pass first time. Our mock exams are available to download instantly plus they come with all the model answers so you can check where you’re going wrong and get an idea of how to answer them. Put into practice everything you’re learning with our PDF music theory worksheets. We’ve put together over 180 pages of worksheets and more than 1800 exercises going in depth into all the topics that you need to know about to pass your music theory exam. Covering grades 1, 2, 3, 4 and 5 our pdf worksheets come with all the model answers so you can mark them yourself. They’ve been used by teachers, parents and students all over the world in over 50 countries. We’re writing simple and easy to use music theory study guides to help you learn and revise music theory on your own. Written in plain simple to understand english with hundreds of examples our range of study guides are guaranteed to help you finally understand music theory. Our lessons, worksheets and exams have been downloaded by thousands of students, parents and teachers in over 60 countries all over the world. Here’s what some of them had to say.